Home-cooked British pub classics with daily changing specials, over 20 draught beers & ciders inc. 6 real ales, loads of amazing wines & lovely staff! Junction in Harborne has a beer garden. The pub serves food, it has an outside area. Junction serves real ale. The pub has a smoking area, it has free WiFi. Junction holds quiz nights. The pub shows football on TV, it has terrestrial TV. 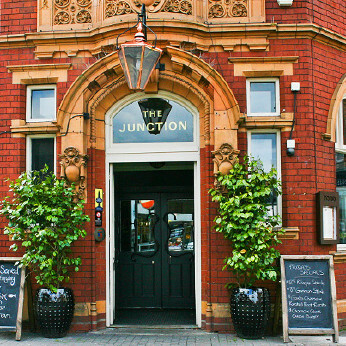 Junction is a member of Cask Marque.